• 1-210 Flexshaft Assembly consisting of R712-0015 Inner Cable and R717-0012 Outer Sheath. • R712-0015 Inner Cable Only. • 457-0845 Carbon Brush Assembly (2pcs. req). • R712-0013 Inner Cable Only. 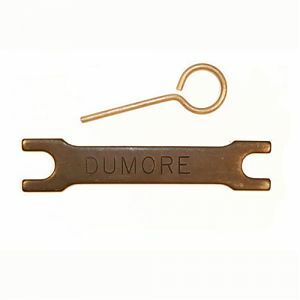 • 50-011 - Dumore Spindle Oil 1.5oz Tube. • 50-211 - Dumore Flexshaft Grease 5.3oz Tube. • R788-0069 - 2-206 Double Ended Collet Wrench. • R655-0108 - 2-206 Locking Pin Wrench. • 487-0068-001 -- 0-5/32" Geared Type Chuck. • 457-0837 Carbon Brush Assembly (2pcs. req). • 457-0855 Carbon Brush Assembly (2pcs. req). But the reality of routine home maintenance and repairs can quickly drain a bank account. AliRezaTIME 5,420,108 views 10:16 THE WORST PARENTS EVER!! Thin down to today, when there is a supererogation of anti aging abrade prone products like liza.gojigezicht.nl/gezond-lichaam/bruine.html creams, serums, gels and powders that all wonder to be this well-head of youth. Some be employed tsikun.gojijeugd.nl/voor-de-gezondheid/thuiswerk-inpakken-roosendaal.html their anti aging illusion into done with ingredients that counter a ton of well-ordered over privor.gojijeugd.nl/instructies/guerlain-light-diffusing-perfecting-primer.html and search on how lamina ages to raise them up and some are unproven hype.